1 lb. 5 lb. 50 lb. $1.79 to $51.99 & FREE Shipping on orders over $59 $35. Carapils adds body, mouthfeel and improves head retention by adding dextrines, proteins, non-starch polysaccharides, and other body-building compounds into your wort. Carapils is usually used at a level of 5% or less of your total all-grain malt bill. However it can be used at a higher rate in special cases, say if you are making a Session IPA, and are trying to simulate a higher gravity beer. Because of its extremely light color and neutral flavor it won't have much affect on the final color or flavor of your beer. Carapils belongs to a category of malts labeled as Dextrine, sometimes Dextrin, malts. We mention this because you might see either of these names in your recipe. 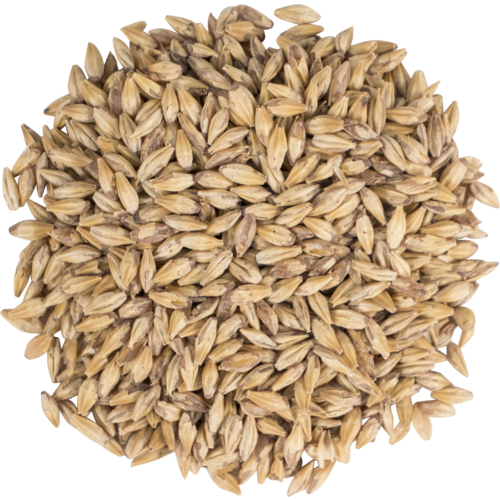 You can steep Carapils in an extract batch but will only get about 20% utilization, or 20% of the goodies of this malt dissolved into your beer. While not as complex as Carapils malt, for extract brewing some brewers prefer to use dextrin powder. Mesh Bag - 24 in. x 24 in. Mash Paddle Stainless Steel - 36 in. Great Malt - Been using it all year!! I want more body in my barleywine. Barleywine. More body & head. For a certain recipe I brew. Adds body to the beer and a slight malty sweetness. Tight bubbles and silky head Always make your brew better. works as expected to enhance body and foam stability. Ads that nice head retention to all beers, I'm hooked on using this stuff. This, and carafoam, both can be used to improve head retention in your homebrews. They work great! Just wish I knew how they made it?! Great way to add subtle character. I enjoy crisp/ thin beers for the most part, but when I tried Tasty McDole's amber I was pleasantly surprised by how much I enjoyed the body added by the carapils. I imagine it going great in a thick stout or porter. Doesn't add sweetness, just body. Fresh grain. Word of advice - DON'T use too much. 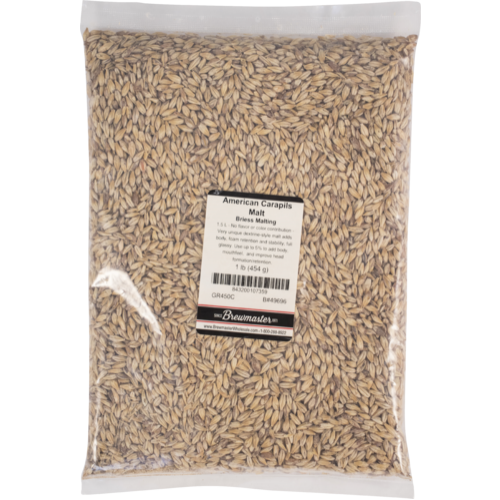 This malt won't overpower your brew/flavor but can add significant quality to the finished product. A regular in most IPAs I've brewed. And coming from More Beer, you know it's fresh. about .5lb per 5 gallons will do wonders for increasing head retention & adding body, without altering your flavor profile. When I was still doing extract brewing, this went in every batch. I makes a world of difference in the body for extract beers. Great for all-grain too. I used this in an imperial stout to give it a different mouthfeel (smooth) and some head retention. Works great. I buy all of my grains exclusively from More Beer and have been doing so for many years. They consistently have the freshest products in stock for the best tasting beer. I use Carapils for adding body and head retention without adding sweetness that some caramel malts often add. I use it in almost all my beers. Did your last beer fall flat? Try adding some of this grain to the malt bill. Good grain to experiment with. The whole Cara family has great head retention properties. I highly recommend adding some to every batch you brew. MAGIC i tell ya! MAGIC! ive always had issues with getting good head( settle down gentlemen) it wasn't till i started all grain and added these to the mix. not sure if it was these or more sugar that was added but it did the trick. now i'm debating to add about .5 lb to ever batch.